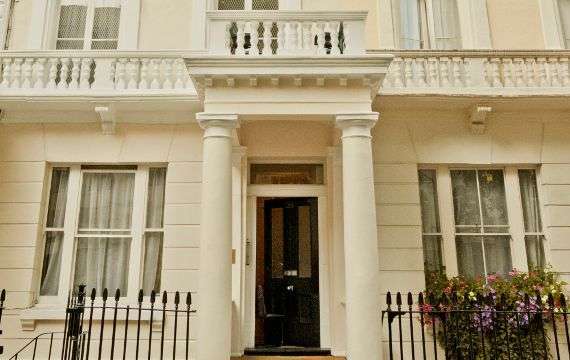 Atlas Hostels is centred around one London's historic garden squares, and a very short walking distance to Hyde Park. Our clean spacious dorms consist of 4, 6, 8 and 10 beds. Each dorm has en-suite kitchen for self catering facilities and en-suite bathrooms. Our secure dorms can be reserved for entire groups. We offer free Wifi, free use of our washing machine facilities, use of our fully equipped kitchen, 24 hour hot water, no curfew and above all a warm and laid back atmosphere. 48 hours notice required for cancellation. Failure to cancel within this time will result in a cancellation charge equal to the first night of your stay. Please state your expected arrival time when making your reservation. Please let us know if you will be late. If you do not arrive within 3 hours of your arrival time and have not called or emailed us we may sell your bed to other guests. We welcome guests of all ages! Groups are also welcome. Children under 16 must be accompanied by parents and they must stay in a family room without any other quests in the same room.